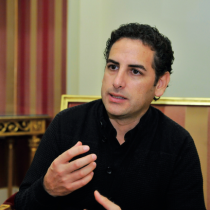 Juan Diego Flórez (born in Lima, 1973). His father, Rubén Flórez, was a singer, who specialised in performing the criollo waltzes of Peruvian composer Chabuca Granda. 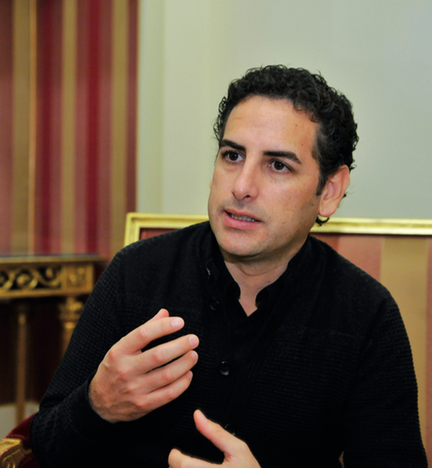 Juan Diego Flórez inherited both his father’s vocal talent and his love for Peruvian and Latin American music in general. His mother, María Teresa, another music-lover, gave him all the support in the world, encouraging him to persevere with his musical studies. 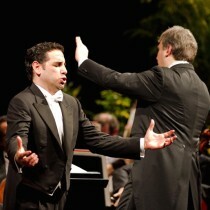 To begin with, Juan Diego Flórez focused on pop, rock and Peruvian music. In 1989, the young singer won Peru’s first Festival of Song for Peace. In 1990, having attended classes at various academies and taken his first singing lessons, he gained a place at Peru’s National Conservatory of Music. 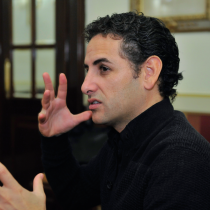 In 1993 Juan Diego Flórez won a scholarship to the prestigious Curtis Institute of Music in Philadelphia. 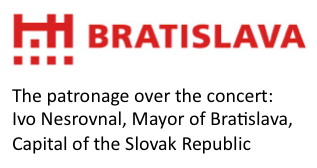 He studied there between 1993 and 1996, and had the opportunity to sing in a number of fully staged complete operas, with an orchestra. In 1994, Juan Diego Flórez met the celebrated Peruvian tenor Ernesto Palacio in Lima, an encounter which was to prove life-changing. He offered to help the young man get started as a professional singer. 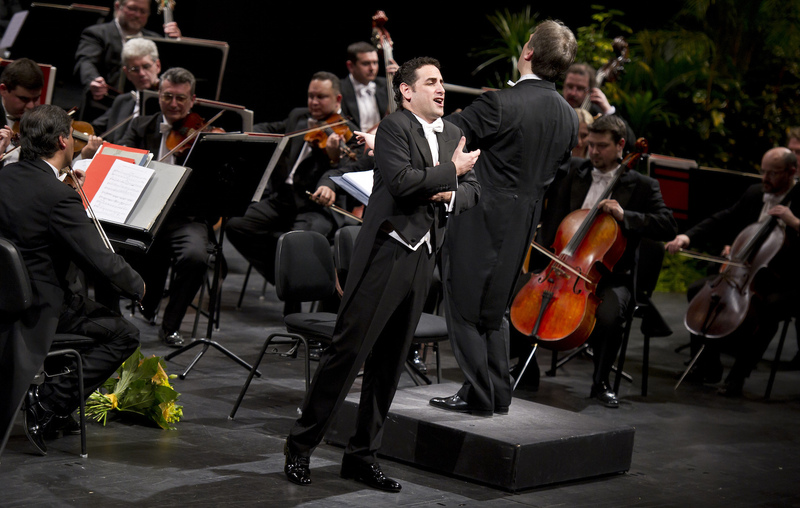 The innate characteristics of Juan Diego’s voice, qualities such as flexibility and a seemingly effortless ability to hit the high notes, destined him for the bel canto repertoire and, in particular, the operas of Rossini. 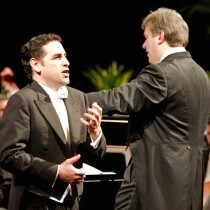 Palacio realised this from the start, and guided the younger singer towards these works. 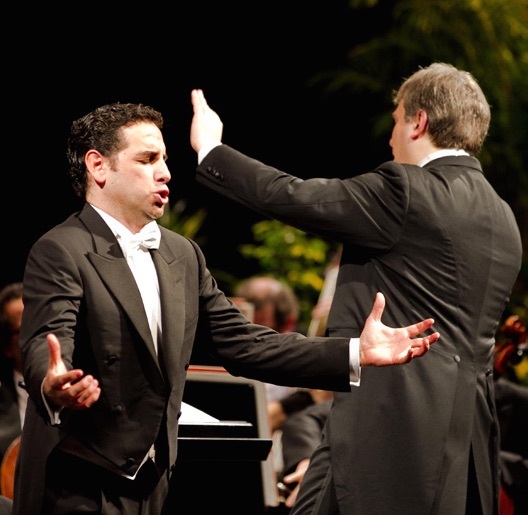 In 1996, Juan Diego Flórez auditioned in Bologna for the Rossini Opera Festival in Pesaro, and was immediately cast by its Artistic Director in a small role in Ricciardo e Zoraide. 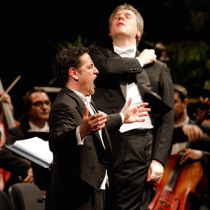 In summer he was in Pesaro, when the tenor who was due to sing the leading role of Corradino in Matilde di Shabran had to pull out because of illness. The organisers offered the part to the twenty-three-year-old Juan Diego. He had to rehearse before he’d even had time to learn the music, with the help of prompts from assistants and pianists. After a frenetic few days, the eagerly awaited first night arrived: 13 August 1996. It was a huge hit, and marked the start of his stellar career. From that moment onwards, opera houses around the world set their sights on the young tenor, including the most famous of all: La Scala, Milan. 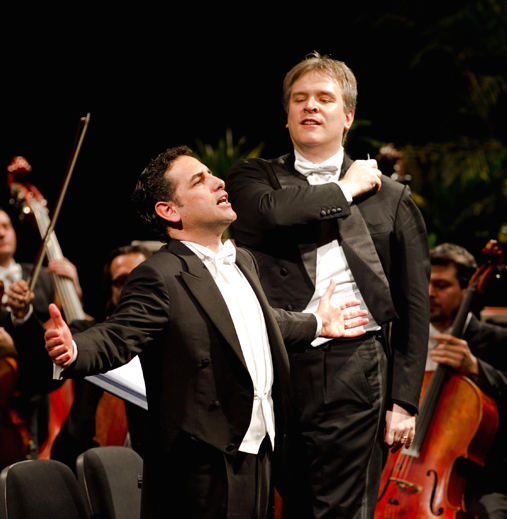 Juan Diego Flórez made his La Scala debut on 7 December 1996 – a significant date, in that it was the opening night of the season – under the baton of Riccardo Muti, who was to be a key influence on the tenor over the next few years. Since then, he has appeared at all the world’s leading opera houses, concert halls and music festivals. 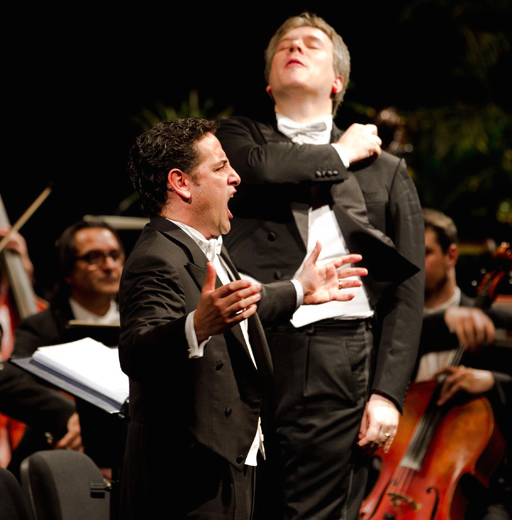 He has worked with the world’s best-known conductors. His repertoire includes 32 operas: Bellini’s I Capuleti e i Montecchi, I puritani and La sonnambula; Bizet’s Les pecheurs de perles; Cimarosa’s Il Matrimonio Segreto; Donizetti’s Alahor in Granata, Don Pasquale, Elisabetta, L’elisir d’amore, La FavoriteLa Fille du régiment, Maria Stuarda, Linda di Chamounix and Lucrezia Borgia; Gluck’s Armide and Orfeo; Lehár’s Die lustige Witwe; Martín y Soler’s Il tutore burlato; Meyerbeer’s L’Étoile du nord; Mozart’s Così fan tutte, Don Giovanni and Mitridate; Paisiello’s Nina ossia la Pazza per amore; Puccini’s Gianni Schicchi; Rossini’s Adelaide de Borgogna, Ermione, Guillaume Tell, Il barbiere di Siviglia, Il signor Bruschino, Il turco in Italia, Il viaggio a Reims, La Cenerentola, La donna del lago, La gazza ladra, Le Comte Ory, L’italiana in Algeri, Matilde di Shabran, Otello, Ricciardo e Zoraide, Scala di seta, Semiramide and Zelmira; Rota’s Il cappello di paglia di Firenze; J. Strauss’s Fledermaus; and Verdi’s Falstaff and Rigoletto. Since 2001 Juan Diego Flórez has been an exclusive Decca artist, and has recorded 8 solo recital albums, 4 complete operas on CD and 6 on DVD. In total, including his discs for other companies, he has recorded 8 solo albums, 12 complete operas on CD and 11 on DVD, and made another 7 albums that fall into other categories, such as cantatas or oratorios. His recordings have won many awards, including the Choc du Monde de la Musique, Diapason d’Or, Echo Klassik Preis, Cannes Classical Award, Gramophone Award and a Grammy nomination for the album Bel Canto Spectacular. 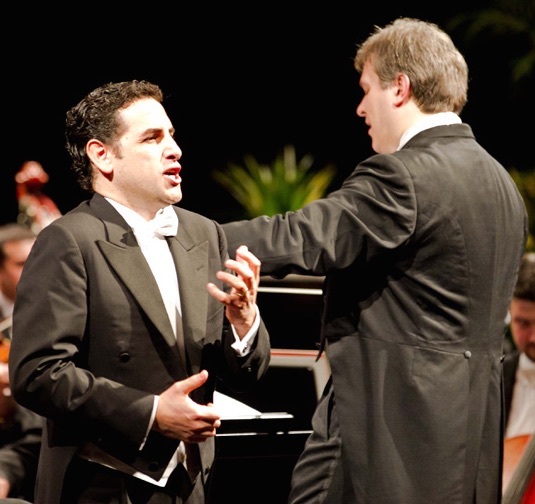 Juan Diego Flórez has received a number of awards, including the Rossini d’Oro, the Abbiati Prize given by the Italian Association of Music Critics, the Tiberini d’Oro, the ISO de Oro, the Opera Award and the Aureliano Pertile, Bellini, Francesco Tamagno and Plácido Domingo Awards. February 10, 2016, 7.30 p.m.
Bella enamorada. El Último Romántico. La boda de Luís Alonso. Intermedio.